Holders Cliftonville and in-form Premiership side Coleraine have been kept apart in the draw for the semi-finals of the League Cup. The Reds must travel to Milltown to face struggling Warrenpoint Town, who have lost their last 11 league games. The Bannsiders will face Ards, the only Championship club remaining in the competition, at Clandeboye Road. Both ties will be played on Tuesday 15 December, with the final set to take place on Saturday 13 February 2016. 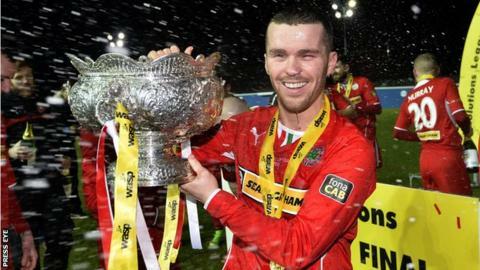 Cliftonville are seeking to win the cup for the fourth consecutive season.